You know Oletowne Jewelers is known as York County’s go to place for engagement rings and custom jewelry needs, but did you know that Oletowne Jewelers is also the place to shop for that EXTRA SPECIAL holiday gift, too? It’s true, Oletowne Jewelers has many gift options. Visit our store and see our selection of timepieces or look through our collection of estate jewelry, just to name a few options. 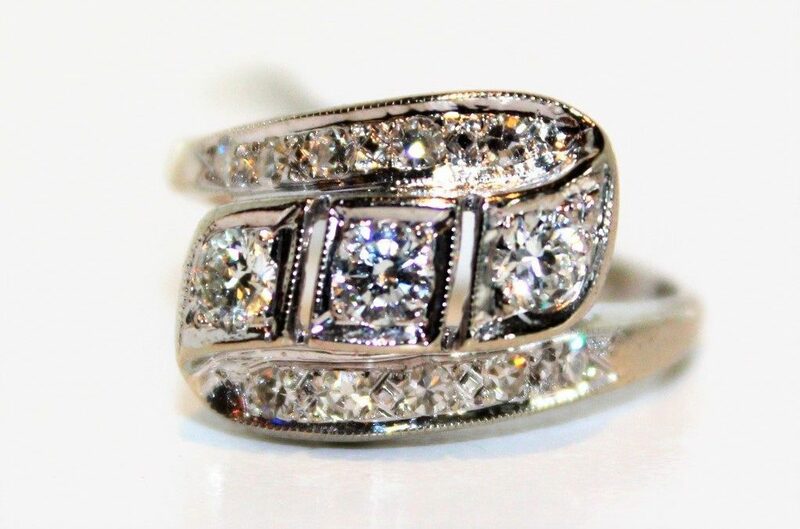 At Oletowne Jewelers, we work hard to maintain a large selection of fine jewelry. Diamond pendant necklaces are very popular right now and we have a nice selection to choose from. Chokers are also popular and we have those in stock as well. These are just a few fine jewelry choices. Our staff would be more than happy to show you all that we have available. Timepieces are always a nice gift. You will be impressed with our high quality Swiss-made collection of watches. And, let’s not forget about our antique and estate jewelry selection. One of the benefits of having skilled jewelers on staff is having the ability to revitalize jewelry from the past. We have some magnificent options just waiting to become someone’s favorite holiday gift. We are currently offering 20% to 60% off select items in the store. Stop by today and see what we have available. You may be surprised by what you will find. While we are talking about sales, all customized orders are 15% off at this time. We love hearing what you have in mind. Is there a something you’ve been dreaming about but just haven’t found it? Oletowne Jewelers can help you with that. By using CounterSketch, we can show you what your creation will look like and then make it happen. We would love to talk it over with you. We look forward to seeing you this holiday season. Let Oletowne Jewelers help you step it up this year and give some extra special holiday gifts. Visit our website or give us a call at 717-854-7788 if you have any questions about our products or services.